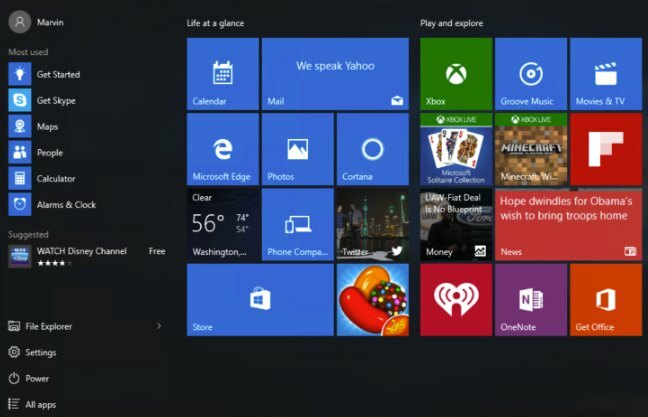 As in most versions of Windows, the Windows 10 Start menu is ignored by most users. It’s usable if it isn’t enormous, but by default, it’s showing far too many apps and advertisements to be useful, and they’re in no order, and include advertising for apps with “in-game purchases”, like CandyCrush. You can drag the icon blocks to any position or order you like, and they’ll dock. But first, delete the blocks you won’t use, by right-clicking on each, and choosing “Unpin from Start”. If you remove enough blocks, the scrollbar will disappear. You can also turn off internet content on items like News, Finance, or Twitter: Right-click any of these blocks, and choose “More >” and then “Turn live tile off”. For any tiles you keep, you can change the size, choose “Resize >” and select an option. Reminder: Removing these icon blocks does not uninstall the matching apps. To do that, click the start icon, go to the Settings app (the gear), System, Apps & features. This includes both desktop software and so-called ‘modern’ apps. 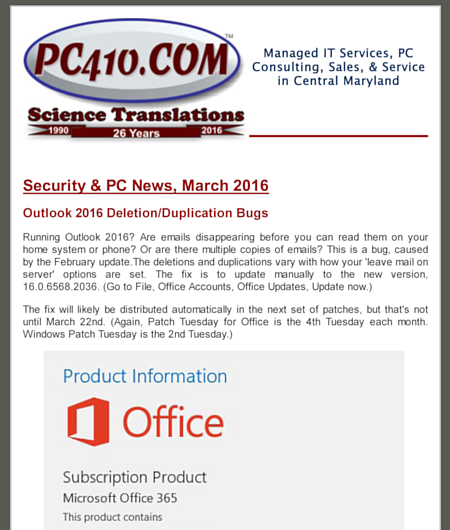 The usual caution applies: There are hardware drivers in that list–lookup anything you don’t recognize before removing it. 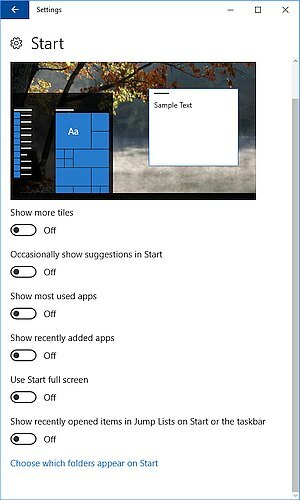 There are also settings to keep Windows from adding more tiles and ads to the Start menu. Go to Settings, Personalization, Start. Turn off “Occasionally show suggestions in Start”. You might also want to turn off “Show recently added apps”. These settings are not available in every version of Windows 10.